Recently, I seem to be starting more projects than I'm finishing. We all know that creates a bottle neck at the quilting machine. 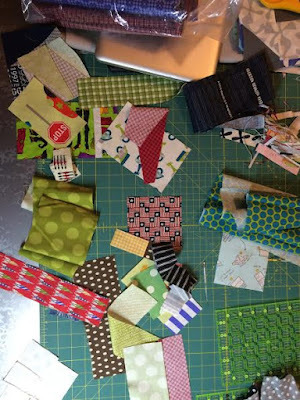 Lots of tops sitting around waiting for backs and quilting. 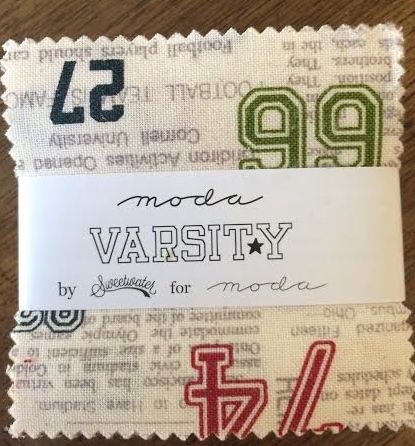 But when I saw these cute Varsity mini's in my friend's etsy shop (Stitches 'n' Giggles), I went off my "fabric purchasing diet". I've been drooling over these 3 fabrics ever since Varsity was announced. 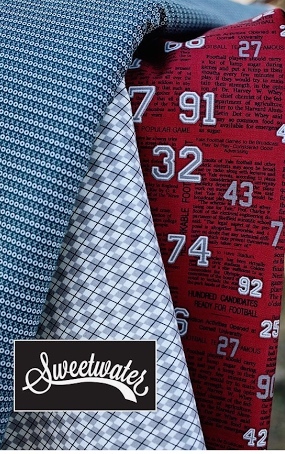 This line by sweetwater, has all those boyish designs and colors that their line Reunion had. 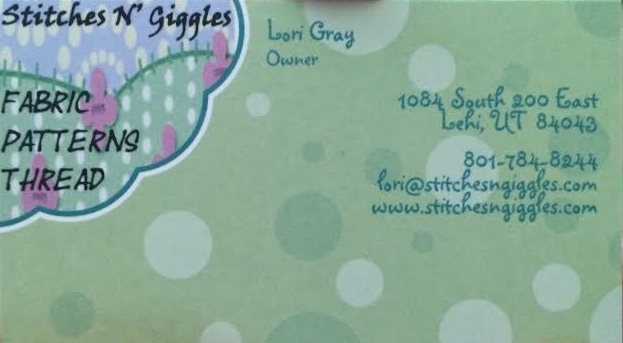 I like to buy from "Stitches 'N' Giggles" on etsy because she has the kinds of fabrics that I like, the boyish stuff. 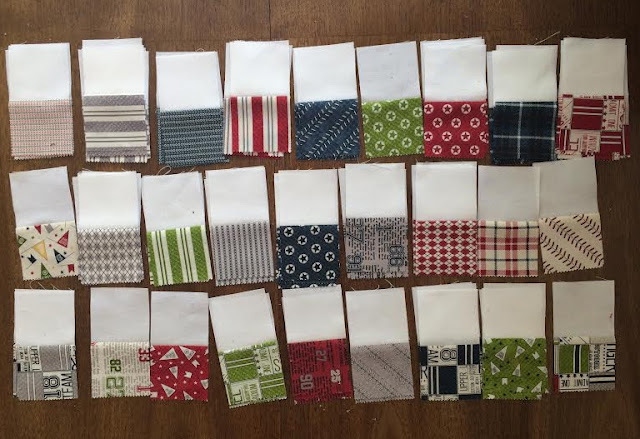 She carries the big name fabrics: Me and My Sister Designs, Fig Tree, Bonnie and Camille etc but she loves the Sweetwater fabric lines. 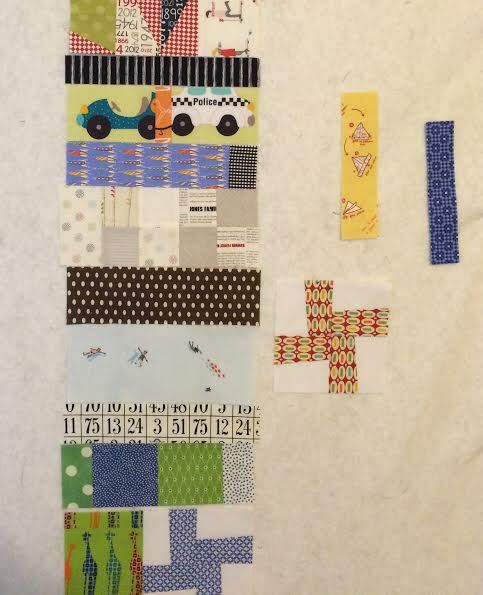 This is the beginnings of a postage or checker board baby quilt. 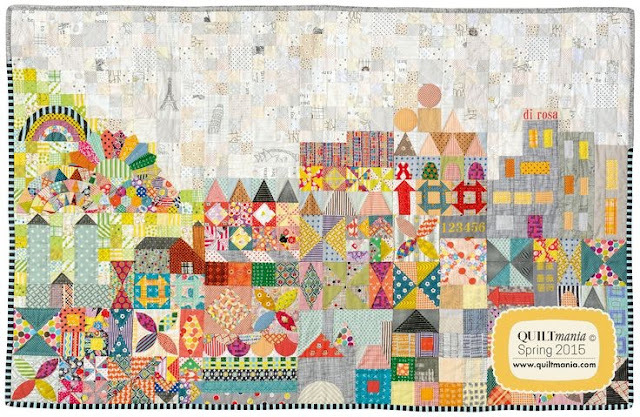 Also on the design wall this week is the back for "my small world"
a shameless copy of JenKingwell's "my small world" found in the Spring 2015 issue of QUILTmania. and fitting the pieces together till I liked what I see. Are you using 2.5" squares in the baby quilt? I am always looking for an easy pattern for babies. 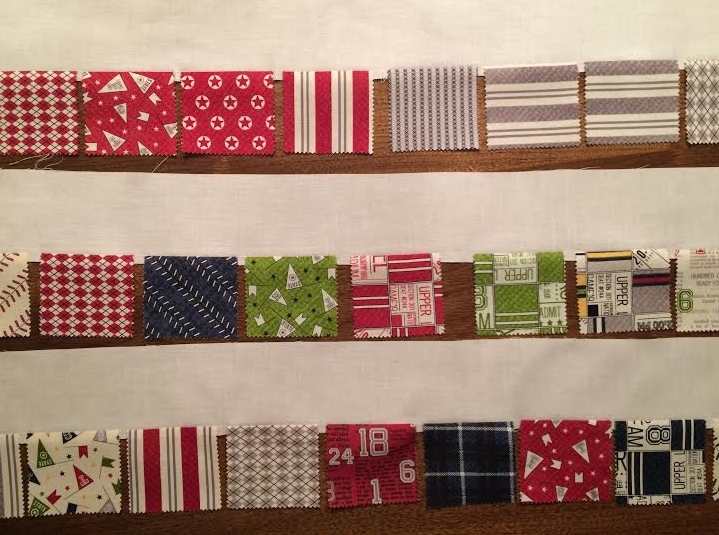 Oh that varsity line looks perfect for a little boy quilt! I love your my small world quilt. Your cityscape is coming right along! I really like the sun dissolving out into the sky. 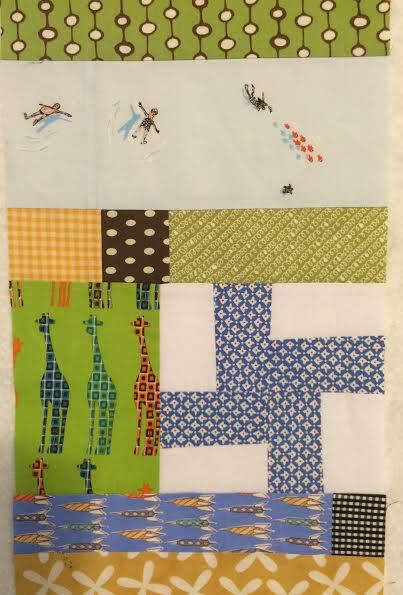 I can't wait to see your Varsity quilt- it's going to be so awesome! Jeanne - yes, they're 2.5 " squares. 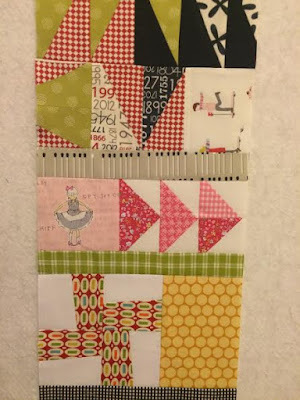 5" squares makes a fast baby quilt. I usually save the 2.5 for special occasions because they take so much longer.